Say what you will about the walled garden, it continues to bear incredibly lucrative fruit for Apple. Android may have the more open ecosystem and the lion's share of the smartphone market, but the iPhone just won't stop printing money. Occasionally, a gate to Apple's garden has been opened: Apple Music got an Android app; iOS 8 let third-party keyboards work with the iPhone. But when it comes to the Apple Watch it's a case of being an iPhone user or having a dead weight on your wrist. From both a business and technical perspective, I get it. There's a risk of damaging loyalty to the iPhone if users start using Google products, while iOS and watchOS have been designed to work seamlessly together. Also, Apple is apparently cleaning up in smartwatch sales right now, so why change anything? The obvious counterargument to the first point is that by strapping an Apple Watch around the wrist of Android users, you have an opportunity to pull them into the Apple ecosystem entirely. I actually think there are a couple more compelling arguments for making the Apple Watch Android-friendly. When Apple made the iPod compatible with Windows, sales of its music player exploded. I don't think we'd see anything on the same scale were Apple to make the Watch support Android (the iPhone has a sizeable user base as is), but almost nine out of ten smartphones in the world are running Android. That's a hell of a lot of people who could have the option of buying Apple's smartwatch. There are also a lot of people, like myself, who enjoy using Android on smartphones but prefer the watchOS experience on the wrist. Android Wear 2.0 is a lot better than it once was but still feels like it's snapping at the heels of Apple's OS. 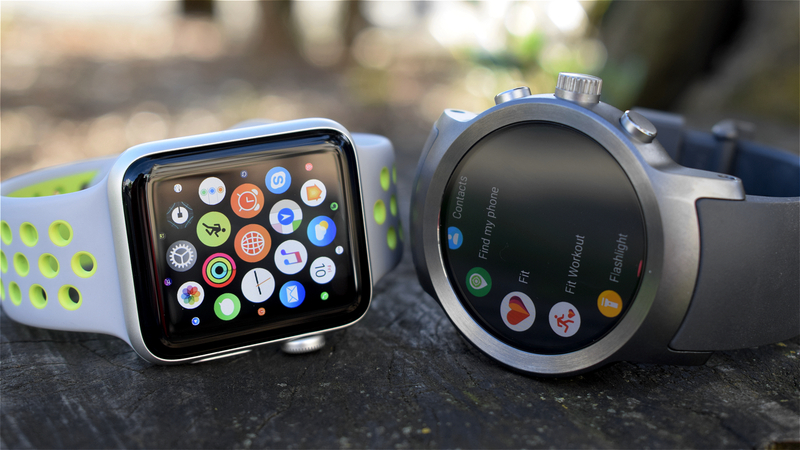 I also agree with the argument made by Android Police's David Ruddock that Wear needs a flagship device - its own Apple Watch - to be taken seriously. But it's the threat of Fitbit, I reckon, that's most dangerous. The latest IDC figures show that, despite losing ground to competitors, Fitbit is still top dog in wearable sales by quite a margin. Fitbit is also building a smartwatch that will be revealed later this year, and you can bet your mortgage it will work with iOS and Android devices. If Apple continues to ignore Android, Fitbit could spell a lot of trouble for Cupertino. Meanwhile, Pebble is out of the game and its users are looking for something else to put on their wrist. Of course if Apple was to announce it was making its Watch Google-friendly, Android phone users would probably miss out on certain features that would remain tied to the iPhone - as it does the other way round. Android Wear 2.0 works much better with iPhones now, but there are still some limitations on Google services. Nonetheless, I think Apple could make a compelling Watch experience for Androiders. Before you accuse me of having no idea how Apple's business works, I'm not saying it needs to make the Watch Android-friendly. Clearly, it's doing a decent job of shifting units, even if it refuses to say how many. But while it might be sitting pretty for the time being, this year promises to bring big changes in wearables that could rock Apple's boat, so it could be wise to seize the Android market before consumers have other compelling options available. Plus, even if a lot Android users don't want an Apple Watch, wouldn't it be nice to give them the choice? As of right now, I think Apple has more to gain.